RAMUS (Rural Australia Medical Undergraduate Scholarship) is a scholarship scheme for students with a rural background who are studying medicine at university. 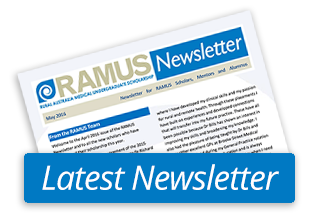 RAMUS scholarship holders are selected through an annual competitive application process on the basis of their rural background, financial need and demonstrated commitment to working in rural Australia in the future. RAMUS provides financial support to help scholarship holders meet the costs of studying medicine at university, particularly the costs of moving and living away from their family support structures. RAMUS also provides mentoring and other support that assists scholarship holders to develop their knowledge and understanding of working as a medical practitioner in rural areas. 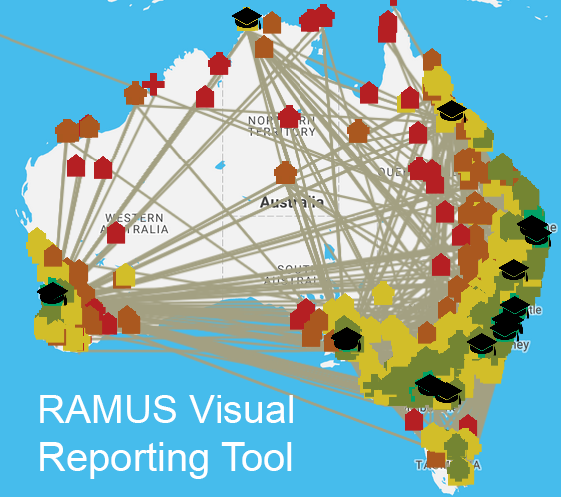 The RAMUS Scheme is an Australian Government initiative which is administered on the Government’s behalf by the National Rural Health Alliance. RAMUS scholars receive $10,000 for each year of study during the completion of a standard medical degree at their chosen university. If scholars are enrolled for part of the year, they will receive scholarship payments on a pro-rata basis. Scholarship holders who are deferring or repeating their university studies will have their payments suspended until they start their next consecutive year of study. No. RAMUS scholarships are except from income tax under the Income Tax Assessment Act 1997. Would the scholarship affect my Centrelink entitlements? You should seek advice from Centrelink on how receiving a RAMUS scholarship would impact on your Centrelink benefits. Centrelink has advised that RAMUS qualifies as an ‘Exempt Equity and Merit Based Scholarship’ and therefore up to $7,710 (in 2015 and indexed annually) of RAMUS scholarship income is exempt from the personal income test when Centrelink is assessing the level of student income support entitlement. Is RAMUS bonded? Would I be required to work in a rural area after I graduate? No, RAMUS is not bonded. Although RAMUS scholars are not required to work in a rural area once they have graduated, they are strongly encouraged to follow a rural medical career for some or all of their working lives. What will be expected of me if I get a scholarship? sign a Scholar Agreement and provide specified reports and documents to confirm that you continue to be eligible for RAMUS. If I drop out or am excluded from university, would I have to pay anything back? Each case is assessed individually. In general, scholarship holders would not be required to return scholarship payments they received before they withdrew or were excluded from study. How would my RAMUS be affected if I undertake additional elective or optional studies, such as a double degree, honours or PhD? Once you have been awarded a RAMUS, you will continue to receive scholarship payments while you are enrolled in the standard medical degree, provided that you meet the ongoing scholarship requirements. taking an intermission or leave of absence from university. Your RAMUS would start again once you are re-enrolled in the standard medical degree and have fulfilled the other scholarship requirements. A mentor is a trusted guide and advisor who, in the RAMUS Scheme, must be a rural doctor. Through their mentors, RAMUS scholars develop their knowledge and experience of rural medical practice. How much contact should I have with my mentor? You should aim to have contact with your mentor at least four times each year, including one face to face meeting each year. The method of contact (eg. email, telephone, face to face sessions, Facebook), activities and timing are negotiated between you and your mentor. Can a relative be a RAMUS mentor? No. It is strongly preferred that your RAMUS mentor is not a close relative. What is a Rural Health Club? A rural health club is a university club which encourages and supports students with a background and/or interest in rural health. There is a rural health club at each university with a medical school. Rural health clubs are multi-disciplinary; their members are enrolled in the range of health disciplines. The clubs offer a wide range of activities for their members. You can find out more about rural health clubs from the National Rural Health Students’ Network (www.nrhsn.org.au). One of the conditions of the RAMUS Scheme is that scholarship holders must be members of their university’s rural health club. RAMUS scholars are encouraged to participate actively their rural health club.